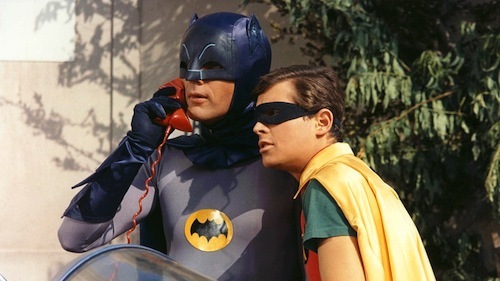 One of my most endearing childhood memories from the 1970s was watching reruns of the 1960s Batman television series starring Adam West as the titular character. Every Saturday morning I'd be sat in my folks' kitchen, with a bowl of Rice Krispies cereal and a collection of Corgi toys, excitedly watching Batman battle a menagerie of garish foes on a portable colour TV. I was young enough not to be encumbered by matters of time nor fiction. Batman's adventures were of the here and now, and Gotham City was real. Whenever the phone rang, I wondered if it was the caped crusader? Holy cycle calamity, Batman! Long summer evenings, after a day at primary school, were reserved for Batman adventures with childhood friends. My hooded coat, as worn by Captain Cold (Wentworth Miller) on DCTV, doubled as a batcape much to my late mum's chagrin - it got caught more than once in the back wheel of my bike. So, Adam West's passing from leukemia, aged 88, was personal. His Dark Knight stirred the detective within and a passion for problem solving. Batman formed part of an heroic trio including Doctor Who and The Six Million Dollar Man. 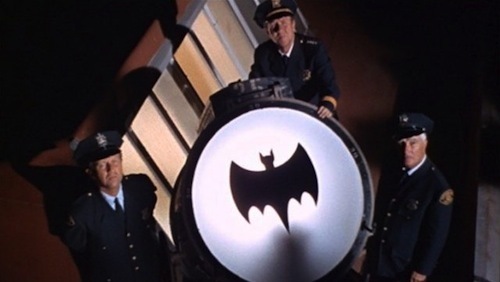 Tonight the Bat-Signal will shine over LA in his memory. Thank you, good sir. Goodnight, good knight. RIP Adam West.